After signing up to receive e-mails and newsletters about Studio 30, we will ask you for your consent to use your information stated above. We value your cooperation and interest in our organization. You may choose to opt-out of these emails or cancel your membership at anytime through our website. You must be 21 years or older to be a member of Studio 30. 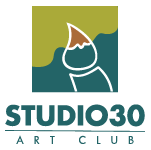 This website (www.studio30.ca) is available for individuals of all ages to browse and discover local artists in Victoria, BC.